There are a lot of photos in this post but they barely approximate each place, so please click through for more. One thing is certain: everything will make you feel tiny. 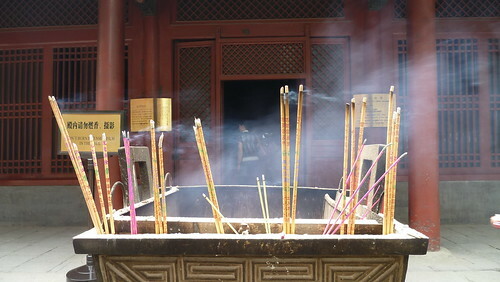 Changling is the burial mausoleum of the Ming Dynasty’s third Emperor Chengzu, and his wife Xushi. 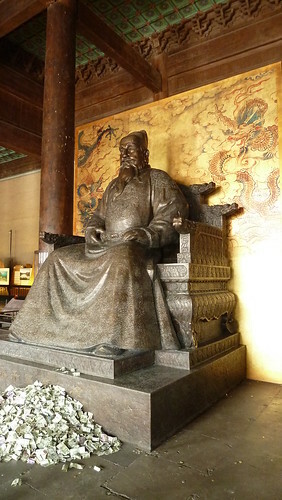 His given name was Zhu Di, while his reign title was Yongle (“perpetual happiness”). 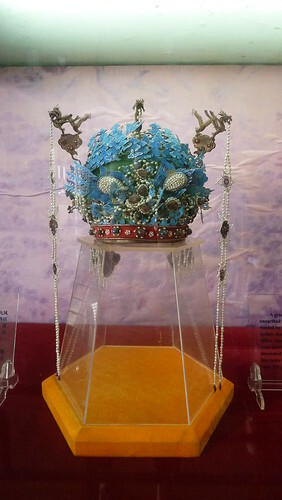 The place also served as a museum visit with lots of artifacts on display in the Hall of Eminent Favour. 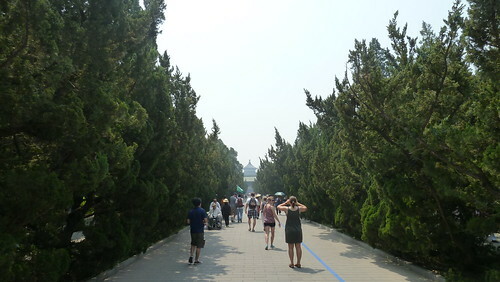 Tian Tan or Temple of Heaven is a religious complex of buildings surrounded by a large park. 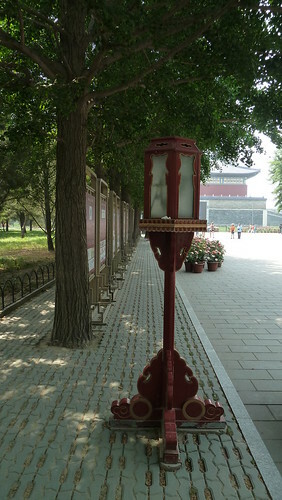 Emperors once visited to worship there, while these days the locals exercise, dance, and hang out. Circular features represent Heaven (hence its name, and the shape of its main landmark), while square/rectangular ones represent Earth. 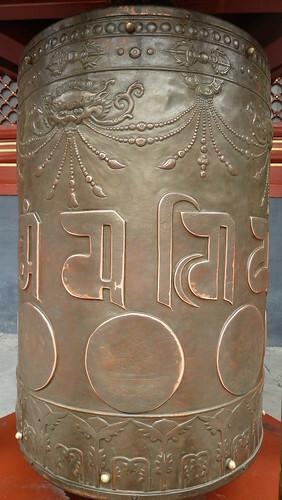 More popularly known as the Lama Temple, Yonghegong is a lamasery, where the Geluk School of Tibetan Buddhism is located. 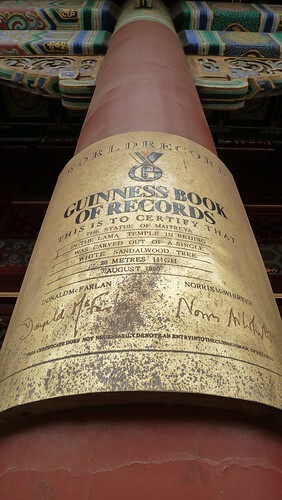 There are three Buddha statues housed here, one of which is the Maitreya Buddha, a 26-meter tall carving from a single piece of white sandalwood, and is a Guiness Book of Records title-holder. 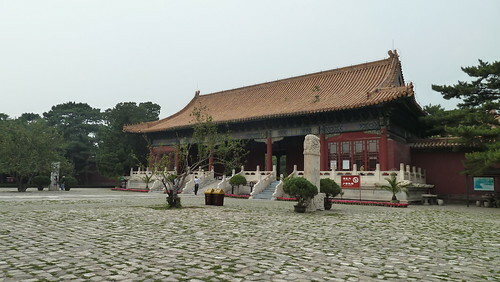 The Summer Palace is a scenic spot by Kunming Lake, featuring buildings on Longevity Hill, a water town on Suzhou Street, the Marble Boat, the 17-arch bridge, the Garden of Harmonious Pleasures, and the Long Corridor, to name a few. 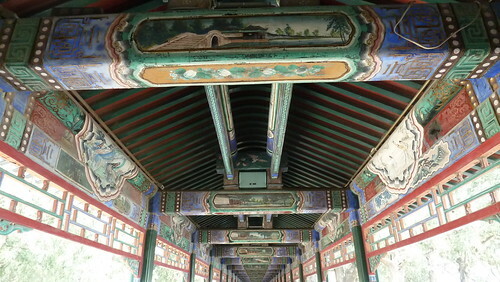 Chang Lang or the Long Corridor is one of the longest covered walkways in the world, spanning 728 meters and over 14,000 unique paintings based on folklore. The previously mentioned Zhu Di built the Forbidden City in 1406, when he moved the Chinese capital from Nanjing to Beijing. 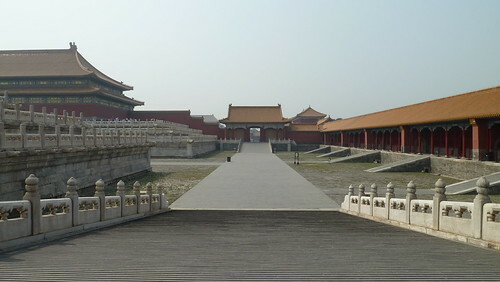 It became the seat of power two dozen emperors, from Ming to Qing dynasties, for 491 years. There’s beautiful detail here, e.g. the number of statues on a roof denote a building’s status or importance. 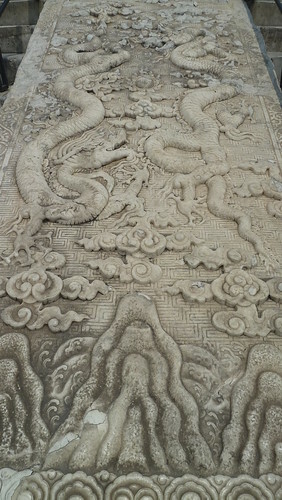 The Hall of Supreme Harmony has 10, the maximum number, consisting of beasts, mythical creatures, and an immortal guardian.